The dawn of a new age flashed across the news this summer – dateline Oregon: scientists from the US, China and South Korea together had tweaked the genes of a living human embryo to correct an inherited flaw that has caused heart failure and sudden death in a lot of young athletes. And so, finally, suddenly we enter the CRISPR age in bio-technology, when human science takes charge of the human genetic lifeline, to fix it here, tune it there, perhaps re-tailor it in useful ways. We could be doing it soon with hundred-dollar DIY kits, at home. The Chinese are doing it, too. As the pioneer in the CRISPR breakthrough Jennifer Doudna says: we have the ability now to edit the DNA of every living person and future generations, too. “In essence,” Doudna writes, it means the power “to direct the evolution of our own species.” “Unprecedented in the history of life on earth,” she adds, “beyond our comprehension,” and raising “impossible but essential” questions for which as individuals and as a species, we are “woefully unprepared.” Jennifer Doudna’s colleague at UC-Berkeley, Michael Eisen starts off our conversation this week. He’s a genetic biologist — who works mainly on fruit flies — and a member of the Berkeley team that epically battled against the MIT-Harvard-Broad Institute faction, over patent claims on CRISPR and its applications. Online, Michael Eisen has eloquently argued against the whole idea of patenting a public resource. Ben Mezrich who dreamed up “The Social Network” about the making of Facebook and the IT billionaire class. He has a new block-buster in book form, soon to be a movie called “Woolly,” about the mammoth last seen as the Ice Age melted down. 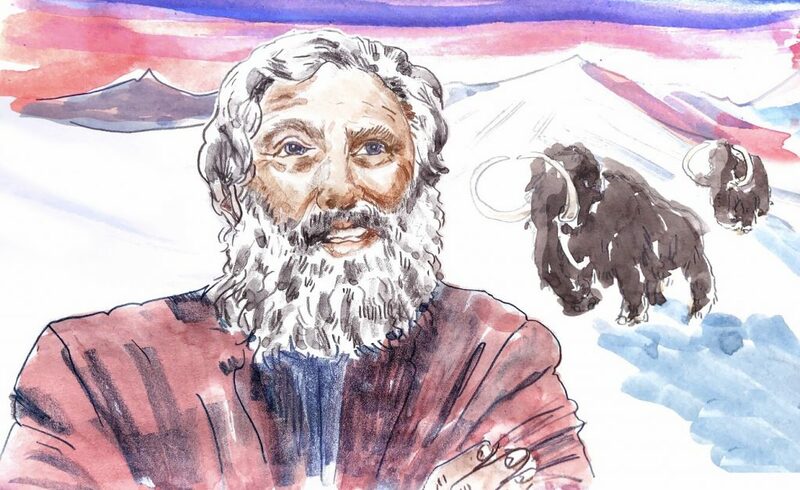 The human hero of the story is George Church — the giant Harvard biologist who means to revive the woolly mammoth with its DNA and his own CRISPR tools. Imagine Indiana Jones in Jurassic Park. People are getting rich. In the case of the CRISPR companies, I can see how many shares the scientific founders from around Cambridge have and the amounts are large: eight, nine million, ten million dollars. And yet when I interact with the scientists themselves—George Church, for instance with his sort of lumpy shoes, you know, does money motivate him? He doesn’t act like it. So I think fundamentally I’ve got to believe that people are motivated by the fact that they’re discovering stuff and the glory and that is worth more than the money. But I might be naive. My sense was that most of the people there felt or at least pretended to feel assured that as long as we all remain reasonable as long as we all put our minds together and make informed decisions about CRISPR’s use that everything’s going to be fine. I would have preferred more discussion of the potentially destructive and even catastrophic risks that such a technology introduces into the biosphere. 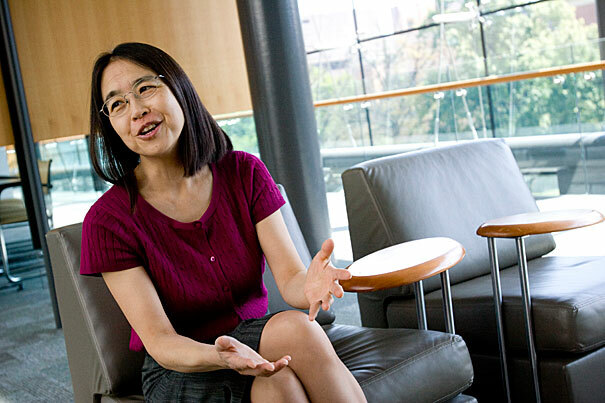 Ting Wu leads a genetic biology lab at the Harvard Medical School. And she’s married to her most famous colleague George Church, with whom she has had running debates morning and night for most of 30 years. In her office this week we asked her to draw some lines she argues over with her husband. 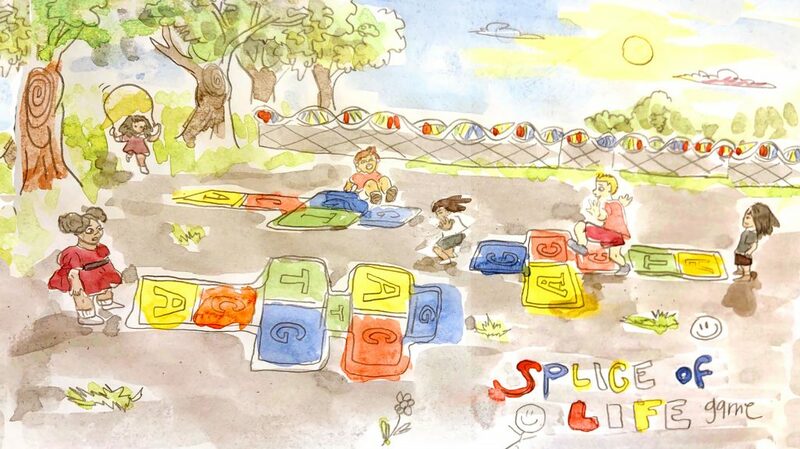 She told us: “I am not a line drawer.” Rather, she’s more of a potentialist — a firm believer that the happiness of future descendents will be largely determined by our willingness to allow for a panoply of personal genetic expressions. professor in Italian Literature at Stanford University and author of Juvenescence: A Cultural History of Our Age. He is a podcasting maestro at Entitled Opinions.